I tweeted a while back about my attempt to map the followers of @SAPCommunity Twitter account. 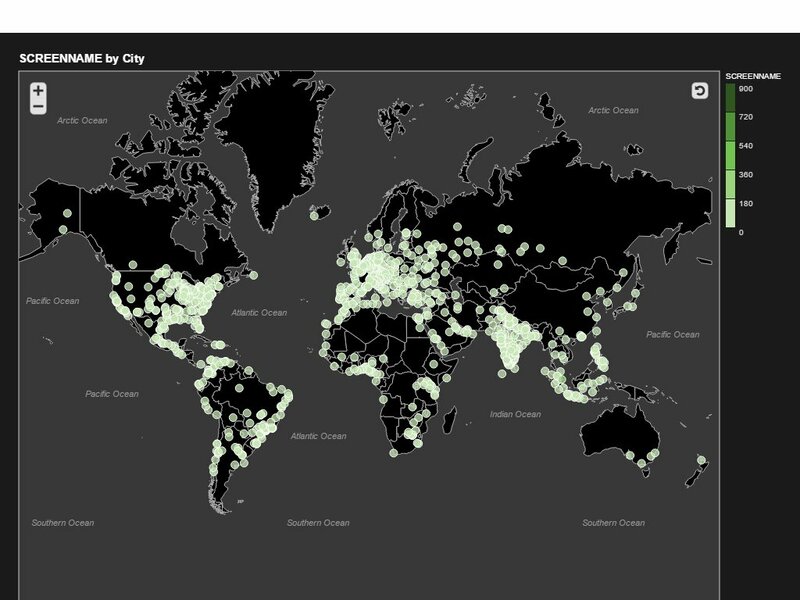 I based the map on the data I collected with my free trial SAPCP account and shared the base XSc code on my SAP Community blog here (that blog collects SAP search data but the code and approach was exactly the same - just adjusted the twitter API to collect twitter followers). SAP Lumira (version 1.31) produced the following map after geocoding the Twitter followers data.